Nearby, Collin County has acquired a section of right-of-way that includes a pasture with abundant big bluestem native prairie grass. Soon, this area will be cleared of existing vegetation to build a tollway. We are excited to have the opportunity to preserve these Blackland Prairie remnants. 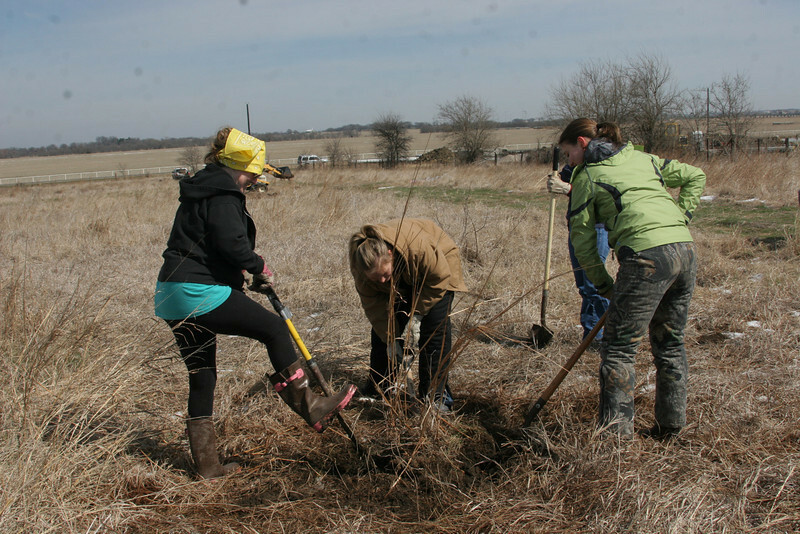 On March 8 and April 26, 2008, Texas Master Naturalists joined volunteers of the Connemara Meadow Preserve to transplant big bluestem sod from this pasture into the meadow preserve.